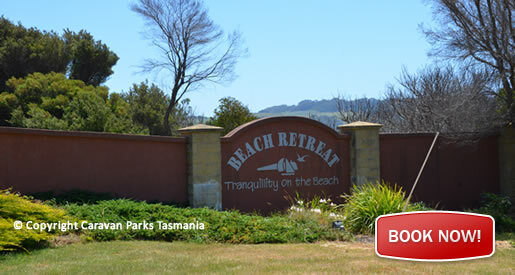 The Beach Retreat Tourist Park Wynyard North-west Tasmania offers a range of accommodation in a peaceful, tranquil setting. It is situated with absolute beach and river frontage. 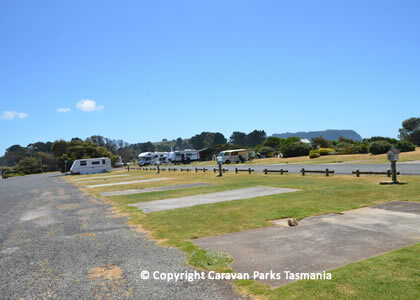 This tourist park offers top quality cabins, motel style rooms, budget/backpacker rooms, powered sites and tent sites. 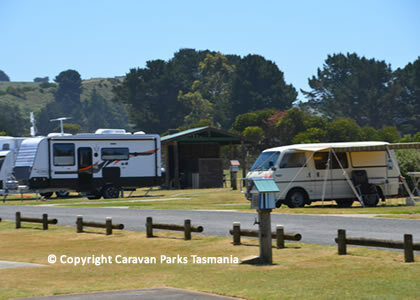 Park facilities include well equipped laundry facilities and undercover barbeque areas. 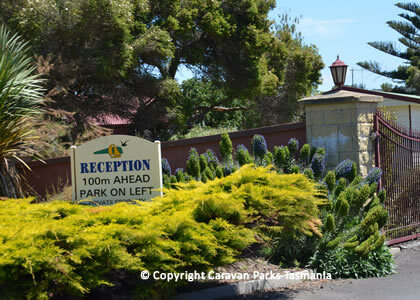 There is excellent fishing, boating and swimming adjacent to the Wynyard Caravan park, with the main township of Wynyard a leisurely five minutes stroll along the bank of the river. 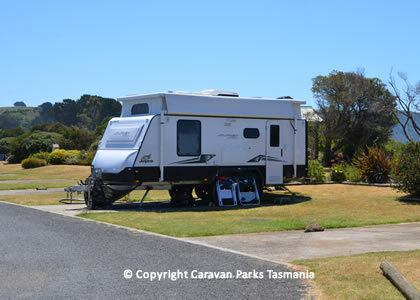 Don't disappoint yourself with just an overnight stay, as this is the perfect location to base yourself whilst exploring the unsurpassed scenic beauty of Tassie's North West Coast. 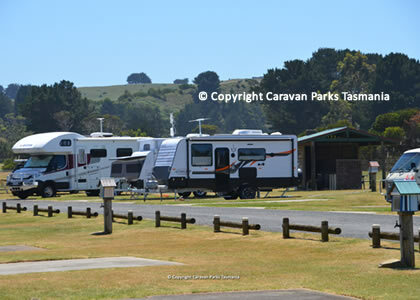 Park features 2 family cabins with ensuites, cooking facilities, microwave, refrigerator, heating, TV, double bed with linen provided and bunks. 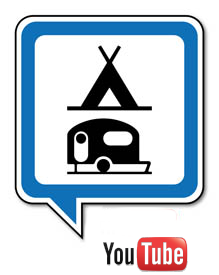 Three modern tastefully decorated cabins accommodating up to three persons with ensuites, cooking facilities, microwave, refrigerator, heating, TV, double bed with linen provided. Nearby Crayfish Creek is listed as a protected forest reserve in North West Tassie - it's home to the giant freshwater lobster which is listed as a vulnerable species. 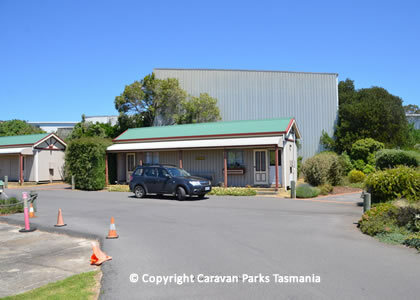 Three beautiful motel style units with en-suites, two with double beds, one with twin beds - linen provided. All have a refrigerator, TV, kettle and toaster. Seven comfortable budget rooms for couples, with a mixture of double and twin beds. Pillows supplied - bed linen for hire or supply your own. All rooms have heating, wardrobe and desk.